You are here: Home » Wholly Guacamole, This Stuff is Good! Wholly Guacamole, This Stuff is Good! A couple of years ago my wife went on a happy homemaker spree and started making fresh guacamole for me to enjoy while watching football. Her guacamole is awesome, and it quickly became part of my Sunday ritual – Jets game, pilsners and stouts, and guacamole with Tostitos Gold chips. Unfortunately, her interest in making guacamole waned while my hunger for it did not. I was screwed, as I still wanted guac, but was too lazy to actually make it myself. Undaunted (and still refusing to do any real work), I tried some of the buckets from the refrigerated aisle in store, but they all had a “taste” to them, like they were full of preservatives and coloring. 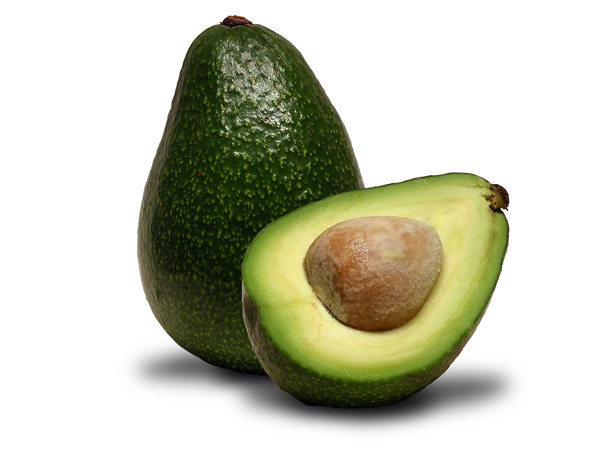 The problem is that avocados start to turn brown the moment you cut into them. To combat this, many of the store-bought guacamole’s are “enhanced” to preserve their color, and in doing so are ruined. The beauty of guacamole is in its freshness and simplicity, and it seemed no one could figure out how to make, package, ship and sell a pre-made one that was anything like the real stuff. Then I discovered Wholly Guacamole. My wife bought a package of Wholly Guacamole in the refrigerated section at BJ’s. Inside the box were four square clear plastic bags of what appeared to be un-messed-with guacamole. I cut the top off one of the bags and squeezed it into a bowl. It’s kinda gross to squeeze it out, but it’s also gives you the ability to cut a corner off and use it like a pastry bag, which can lead to some creative presentation opportunities. The first thing you notice about Wholly Guacamole are the chunks of avocado – they’re pretty big and give the guacamole a very authentic vibe. The taste is amazing – it tastes like homemade. It’s unreal. Actually, it’s science. 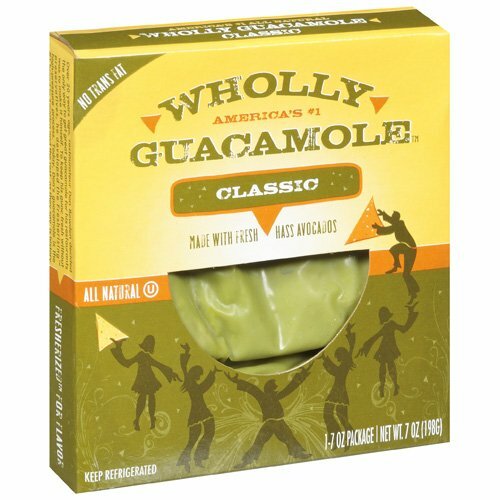 Wholly Guacamole was developed by Don Bowden, a dude who was looking to buy pre-made guac for his Mexican restaurants, but couldn’t find any that was decent due to the whole avocados-turning-brown thing. Determined to figure it out, Don discovered High Pressure Processing, which uses water to package perishables like avocados and keep them fresh without turning them into a superfund site. He now owns the biggest HPP plant in the universe. I’m not sure if HPP is good for the environment or if they use witchcraft and unicorn tears to make it happen, but it sure makes for some awesome guacamole. I usually eat Wholly Guacamole without adding anything to it, which is how my five-year-old daughter likes it. Sometimes I’ll add a touch of lime juice to enhance the citrus freshness factor, and I imagine it’d be good to add some fresh-cut jalapenos or even some crushed red pepper to give it a little extra kick. It’s fun to play. I’ve been eating this stuff for months and loving it, but the reason I finally wrote about it is because my wife brought home a tub of Wholly Queso, their take on Mexican cheese dip, and it’s truly awesome as well. I found myself eating it with my fingers last night because I ran out of chips. Gross, I know, but it made me realize that other lazy, picky folks like myself should have these guys on their radar. If it’s delicious and easy, it’s for me! Have you tried this stuff? Do you agree with my take on it? Are there any other products out there like Wholly Guacamole that you think we should know about? ← Say What You Will, I Thought the Budweiser 9/11 Commercial Was Well Done. Costco has the same brand – I buy it all the time. Its next best thing to the real thing. Like you, I usually add a bit of lime to it. The one downside is that I CANNOT get the real stuff out of my wife anymore. It’s too easy to cut open a bag of this stuff. I prefer hers (the fresh jalepenos make it sing) but WG isn’t far behind. Just read this back and feel i need to mention that we didn’t get paid or anything for gushing about this stuff. Jesus – it’s a love letter! Or you could make the guacamole yourself lazyass. It’s pretty simple. I’m pretty p[icky about gauc and never buy the store bought kind. I’m really picky about salsa as well. I like Newsmans Peach Salsa and this one bean dip from Texas. I can’t remember the name, go figure. That’s great Jim but fer cryin’ out loud, neither guacamole nor con queso is hard to make. Try making some for yourself–you might enjoy it. BTW: You might also want to try baba ganoush and hummus with your chips. It’s easy to make guac, but a pain to find avocados in my town. My wife used to work next to an awesome fruit stand and could get great ones, but that’s no longer the case. This stuff makes it easy to get decent guac without having to worry about finding good avocados. I’m also a huge hummus fan, and probably owe Tribe Hummus (my hands down favorite) a little love here in the future. I’m pretty sure I’ve had it or at the very least, the Trader Joe’s version. Tis tasty! We are guacamole addicts in our house as well. Love the stuff! Hummus is pretty killer too. And don’t get me started on Salsas and Bean Dips. Although I haven’t had it in awhile, I was absolutely addicted to the Desert Pepper Trading Company Black Bean Dip. Has a bit of a kick too. And their Tomatillo Salsa is really good too. Dude, seriously. Hoppy pee and eating queso with your fingers? Are you sure you’re not in a frat or 15 years old? 🙂 I agree with you though, Wholly is amazing and I never make the real stuff anymore. I once diced half a jalapeno and a small tomato and stirred it in to a package, and big time yummo. You know, if you store homemade guac with the pit, it won’t turn dark as quickly. I thought everyone knew that. I haven’t heard of this stuff but you do one hell of a sales pitch. I’ll keep my eyes out for it. Good tip on the coupons – thanks! And I like the salsa idea as well, I’ll have to check it out.